For the first year Twickenham have partnered with theming and prop hire company Theme Works to create a Bond style experience. The showcase was the perfect opportunity to reveal the theming to existing and prospective clients. The new packages aim to immerse guests into the world of 007, which will include casino tables, a DJ, and a choice of either a three-course seated dinner or two-course festive carvery, with dishes such as spiced vegetable Scotch egg with apricot puree and Hereford rib of beef on the menu. 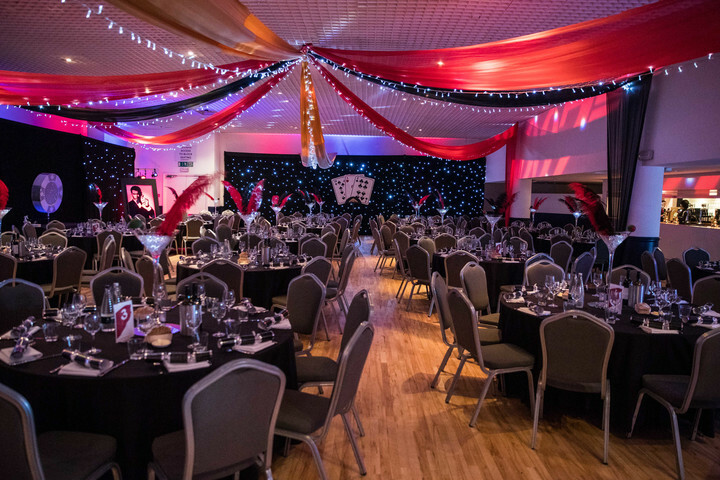 Louise Dormer, Senior Account Manager says "The feedback we have received following our Christmas showcase has been brilliant and dates have started to book up quicker than we could have imagined. We've even opened up a third shared party night on 9th December due to popularity." Shirley Ruiz at HSBC, who attended the recent showcase commented "the décor, food and refreshments were impressive, the hospitality was great." Shared party nights are taking place on 9th, 16th and 17th December with limited availability for all three.